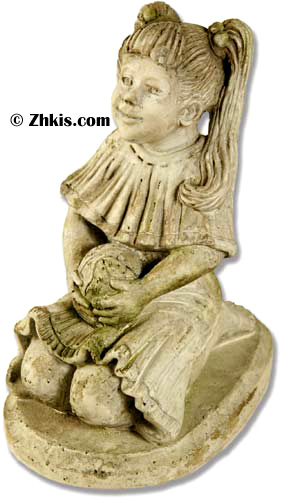 Young girl with ball garden statue. A cute statue of a little holding a ball with a smile on her face. With pig tails in her hair, she is adorable. A great outdoor piece.